In the time of Vespasian, just after Rome has crushed the Jewish Revolt, Julius Varro, a Roman questor, an investigating magistrate, is commissioned to investigate the story that a Jew rose from the dead after being crucified in Jerusalem. Because the fast-growing Nazarene sect founded by the martyr's followers is becoming a threat to the stability of the region, there is much riding on debunking the story. 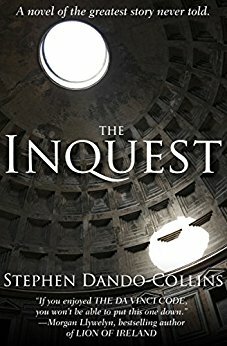 Questor Varro has to deal with the evidence that goes back forty years, with most witnesses long dead and the living ones lying to protect themselves. But he is intent on producing a report that will demolish the claims of these religious fanatics. His investigation stirs intrigue, religious passion, and violence, to say nothing of an attraction to a beautiful Jewish slave girl. Questor Varro's report methodically destroys the myth fueling the newborn Christian movement. But then an extraordinary event occurs that changes everything. This novel has been a A BESTSELLER IN SPAIN AND ITALY, where it is equated with the classic Quo Vardis and the works of another Australian novelist, Colleen McCullough.